We are thrilled to invite you to our next InterNations Expat Event! 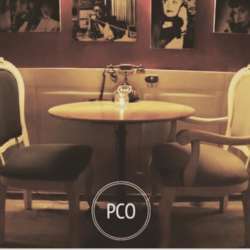 Join us at PCO on Saturday, 9 March, from 20:00 onwards. As always, there will be an optional unlimited premium drinks package for those who want it. Please note that entry will close at 22:30, but the party will go on until the venue closes. Entry fee is in CASH ONLY. Albatross, Basic Members & Guests need to bring their foreign passport or residency permit. You are welcome to bring your expatriate friends.